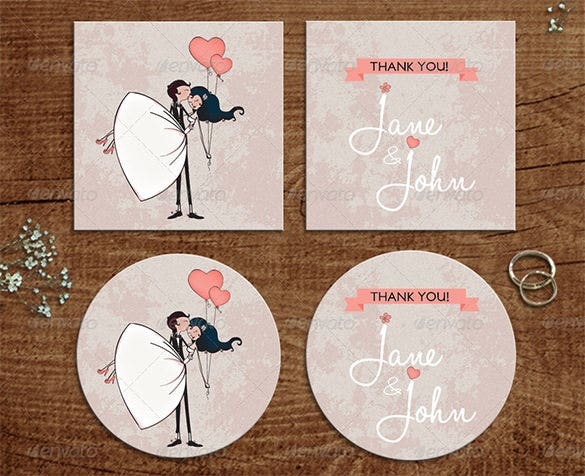 Express your love for her by giving her one of our thank you cards designed specifically for her by showing her that you notice all the little things she does. 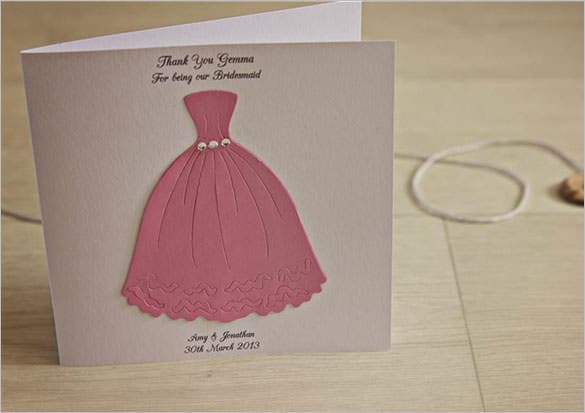 These thank you cards convey a wide range of feelings and are perfect for all special events. 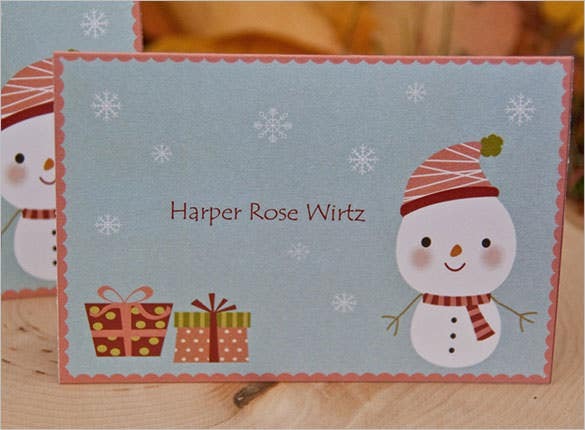 They also come with a lot of space to add your own personalized message. 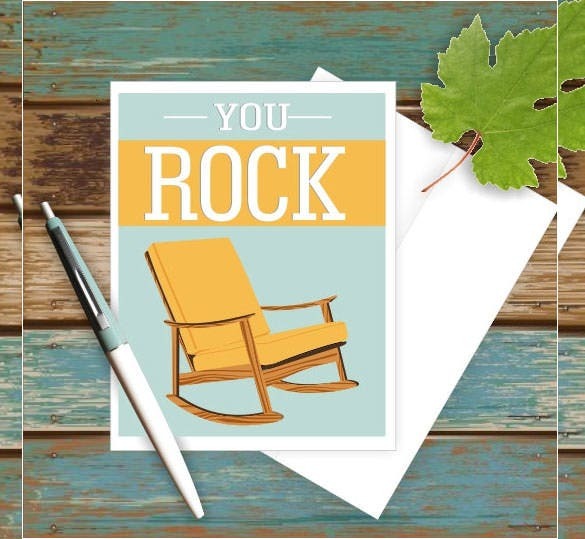 Take time out to tell him how much he means to you. 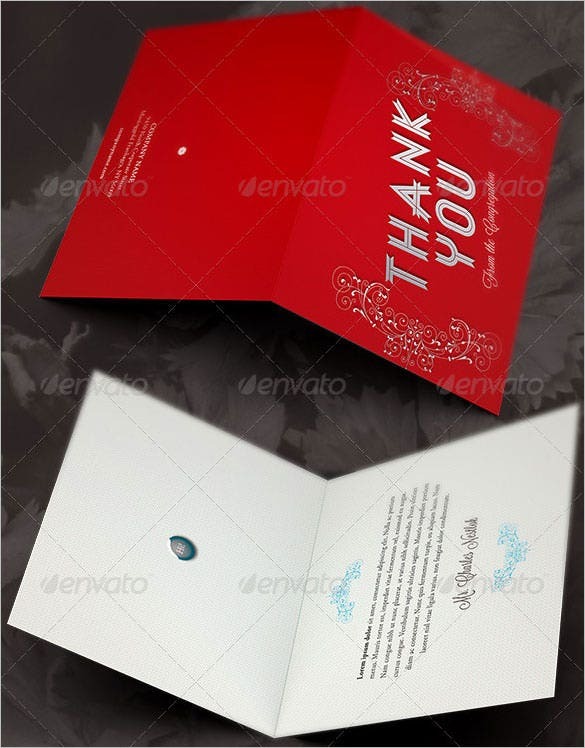 Our wide variety of thank you cards format will surely have something expressing the kind of emotions you feel. 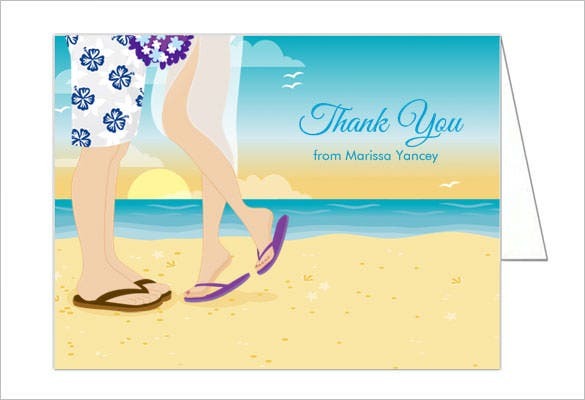 Whether it’s your anniversary or just another day, put a smile on his face by surprising him with a dazzling thank you card. 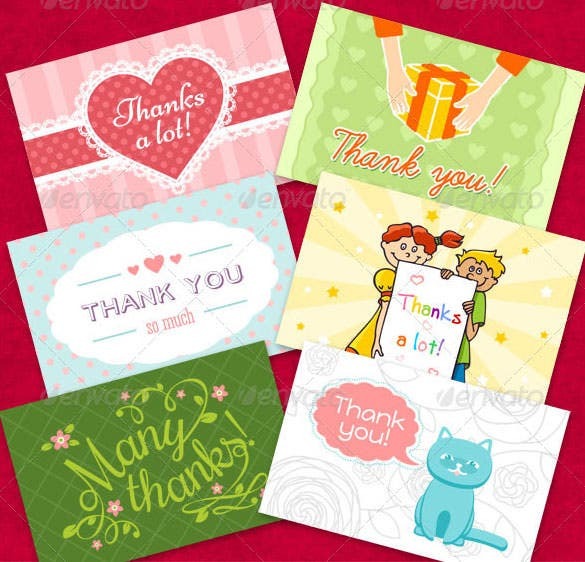 Remarkable Thank You Cards for Him Available Here Free Thank You Cards Download Here for Free! 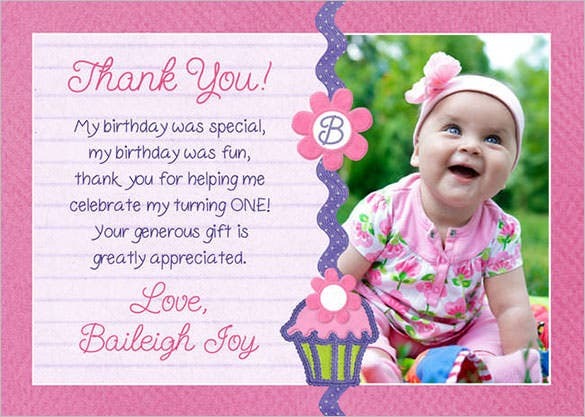 Your daughter had a big birthday party and needs to thank all her friends for all the gifts they gave her; we have just the thing for you. 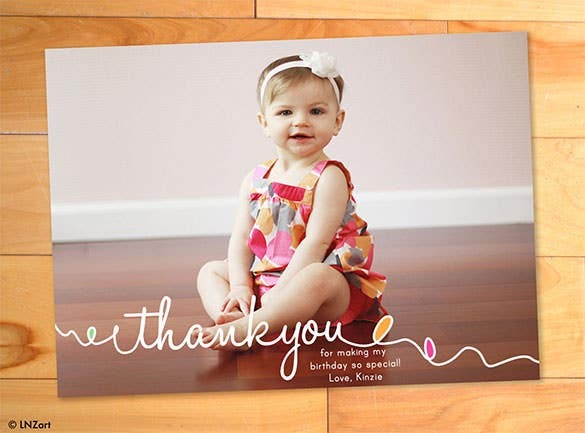 Browse through our marvelous collection of thank you card templates for kids. 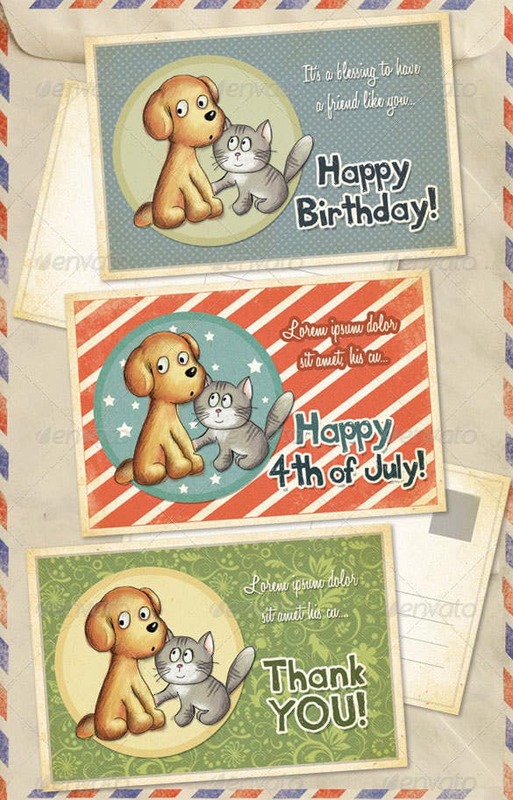 They are fun and cute and can be used for a varied range of different situations. Your pets make up a big part of your life. 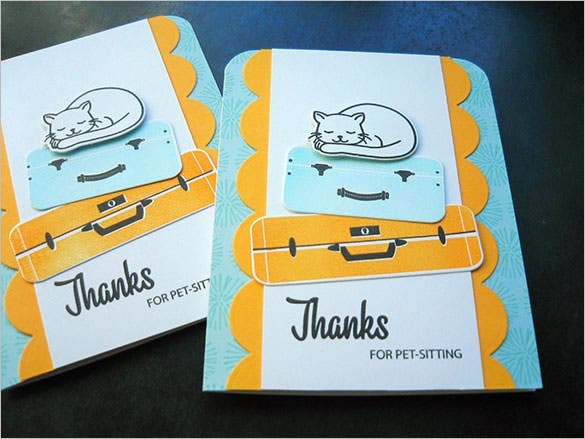 Express your gratitude to the people in your life with pictures of the pets that make your life brighter. 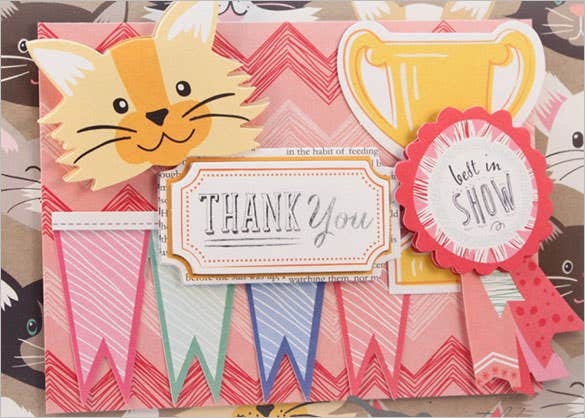 These pets thank you card templates are beautifully designed and have plenty of space for you to put in a few kind words from the heart as well. 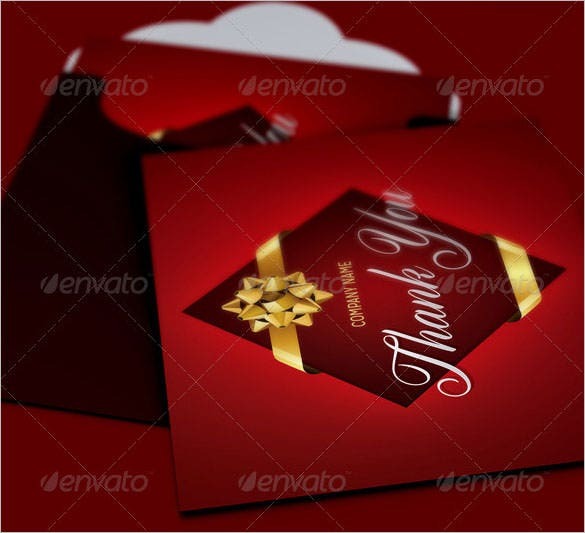 Holidays are always a busy time; with a lot of gift giving and receiving, thank you cards are essential for all holidays and festive occasions. 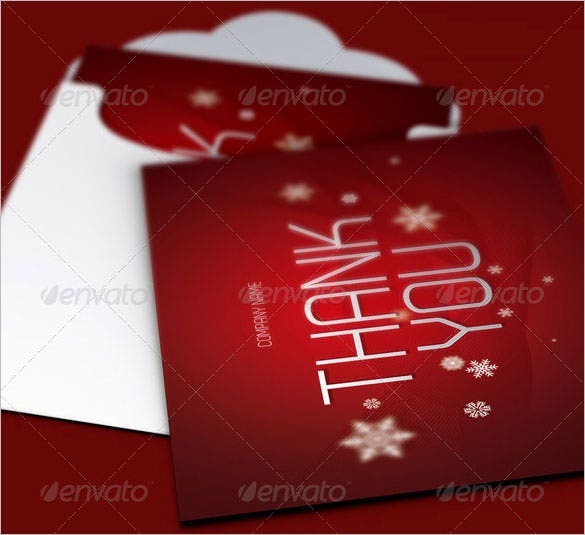 Take a look at our incredible range of beautiful holiday thank you card templates. 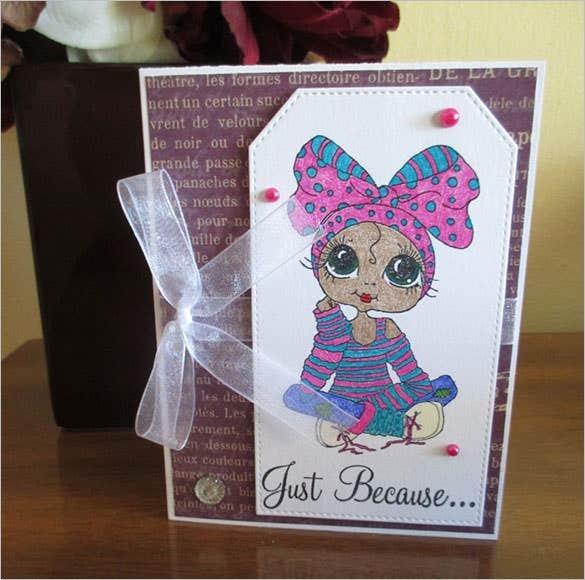 You will find cards for every occasion and with festive images to spread the cheer. 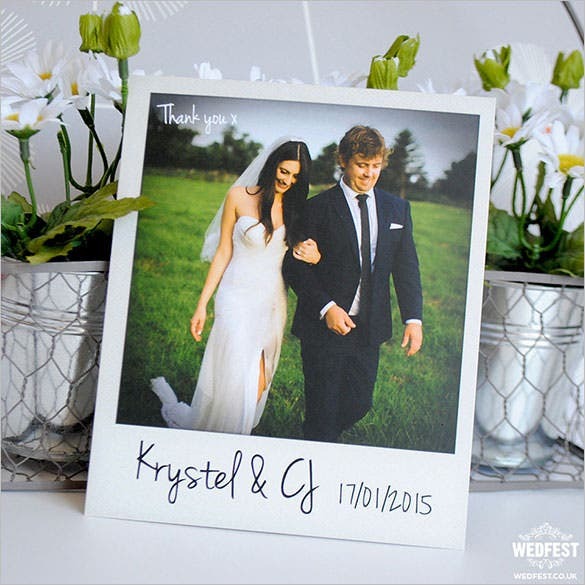 Your wedding was one of the happiest events of your life. 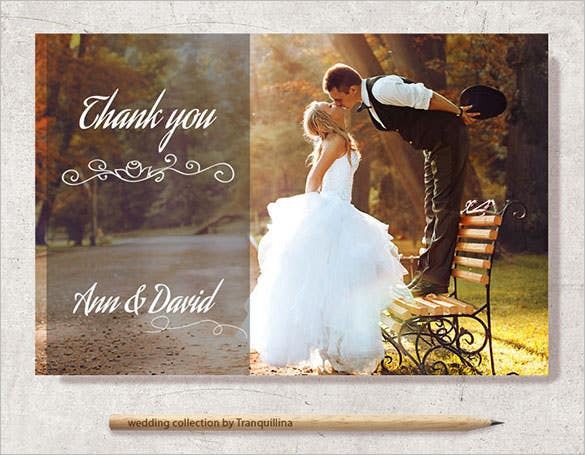 Take time out to thank the people who made it special by sending them one of our wedding thank you cards for their gifts and blessings. 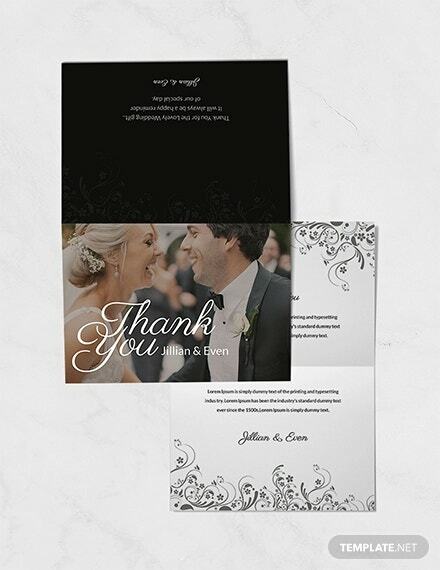 These beautiful thanking card templates for wedding can be used to thank everyone from friends and colleagues to family members. 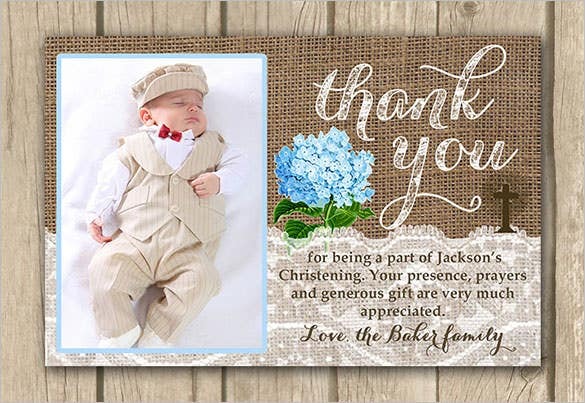 Help thank the people who made the birth of your child all the more special with their gifts and good wishes. 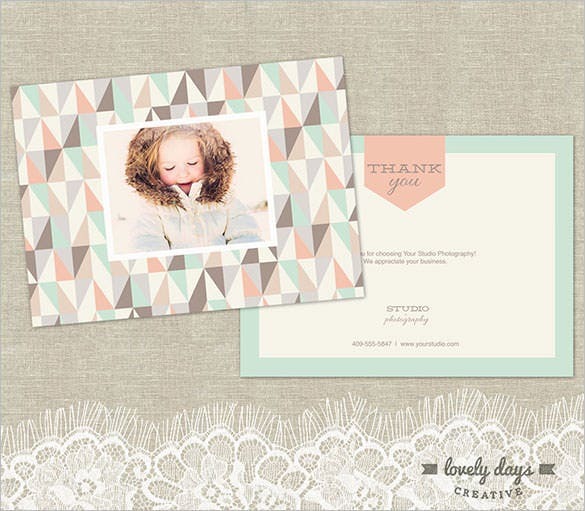 These cards can accommodate images so you can put your baby’s picture in it as well. 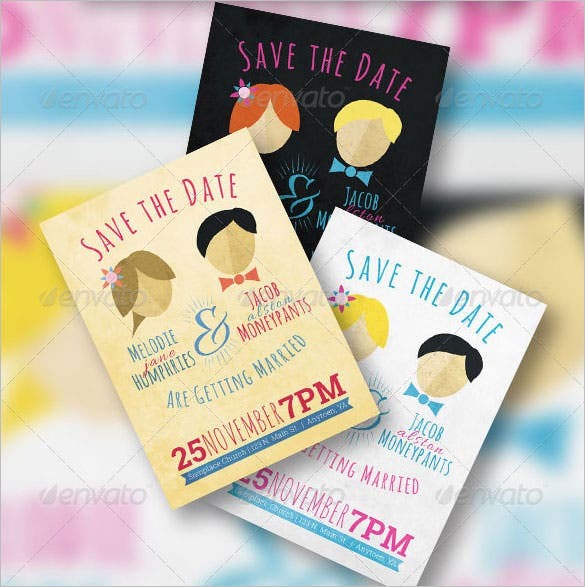 They come with a wide variety of texts and designs for you to choose from. 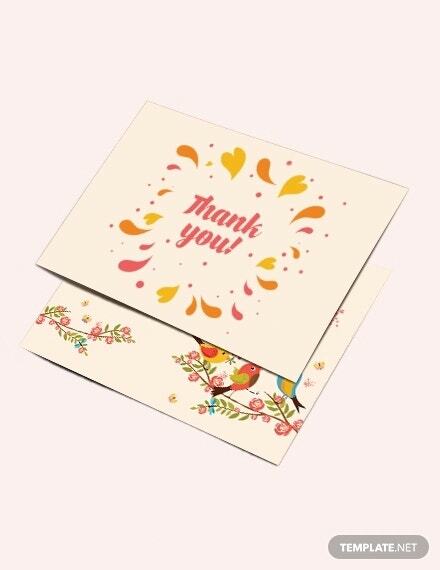 Express your gratitude to your loved ones but don’t let your emotions be just confined to words. 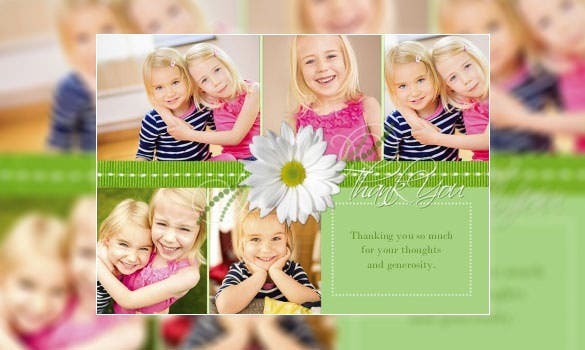 Give your emotions much greater expression by using our collection of photo thank you cards. 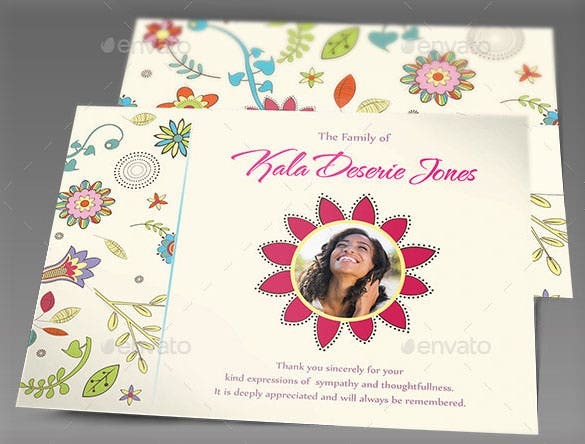 Not only are they vibrant but the collection is designed to cover all kinds of situations and settings. 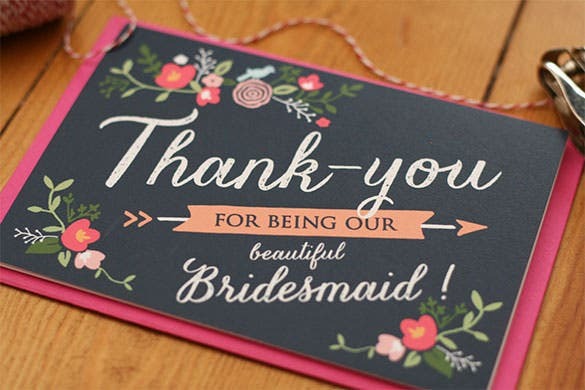 As you wait for the big day with bated breath, don’t forget to thank the people who showered their love and gifts on you on the bridal shower. 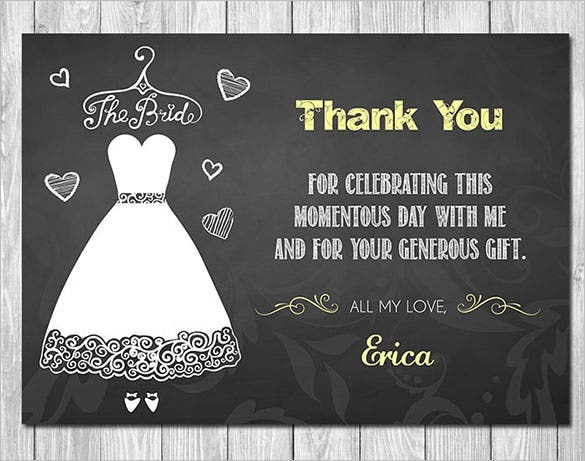 Choose one of our beautiful bridal shower thank you card templates to express your gratitude and love. 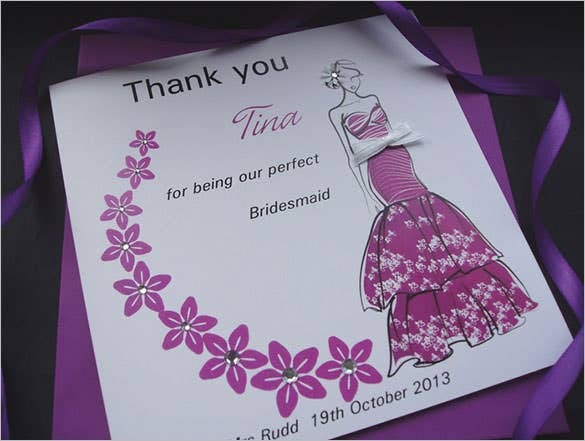 They come in various designs with carefully crafted text and images. 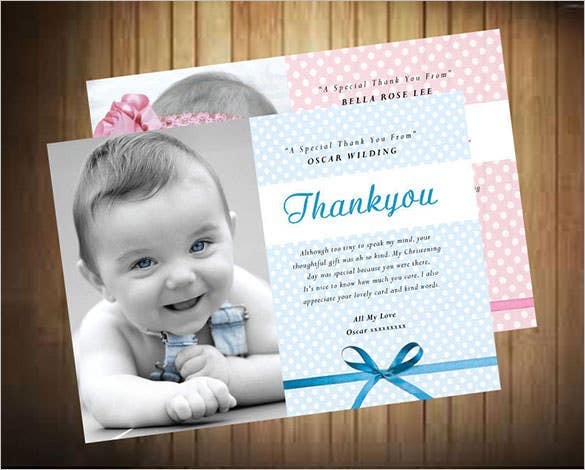 Express your gratitude to the people who attended your child’s christening by sending them one of our thank you cards designed specifically for this purpose. 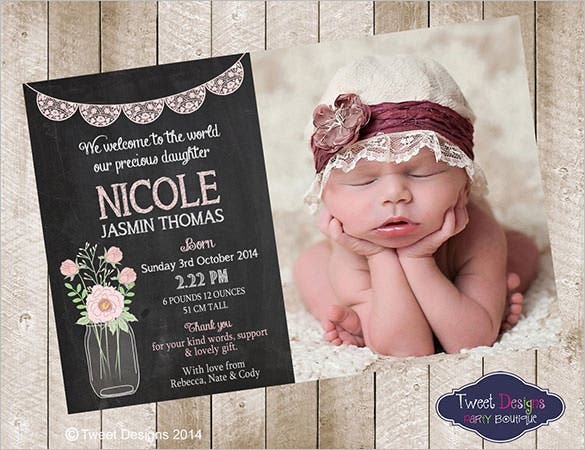 These Christening card templates come with a diverse range of messages and beautiful images with plenty of space to add a couple of words of your own. 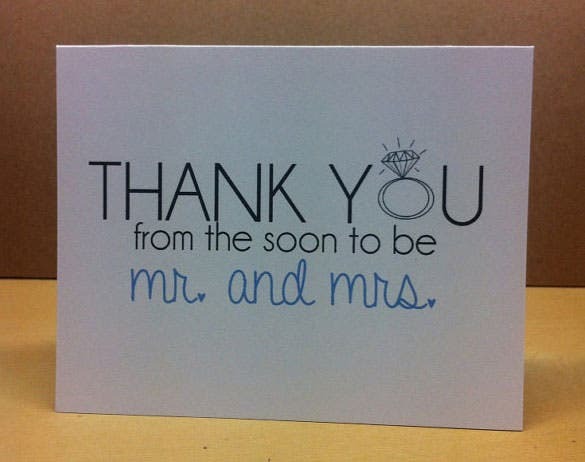 You can never adequately thank the lovely ladies who made your marriage so special. 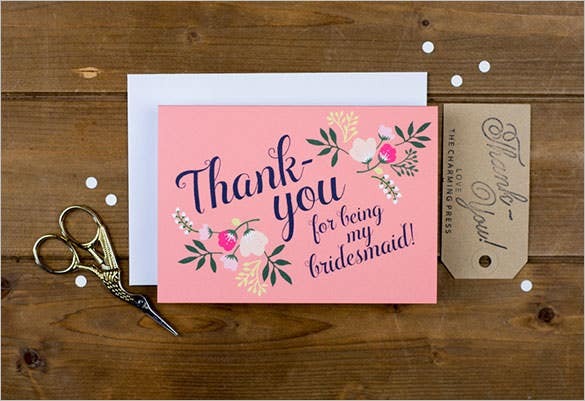 But you can start trying by sending them one of our Bridesmaid thank you card templates which exhibit the full extent of love and gratitude you feel. 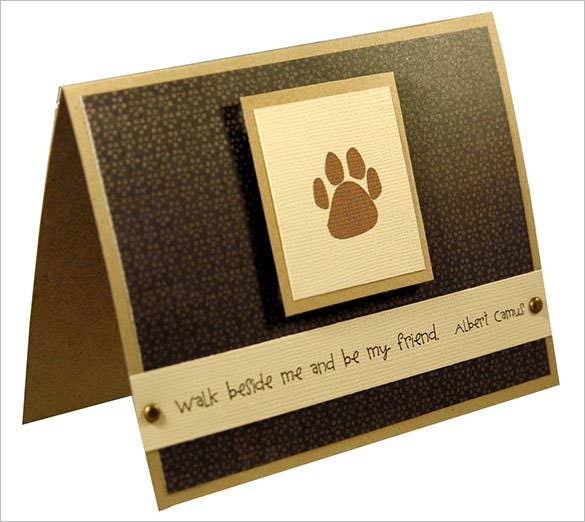 They come with a variety of different messages with plenty of space to add your own personal touch. 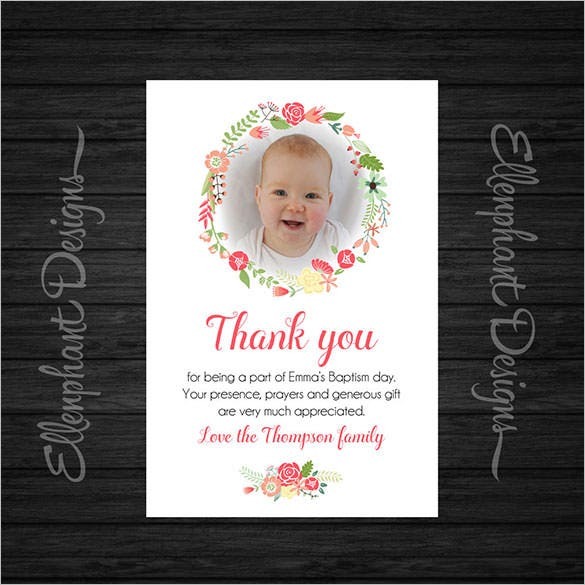 While you wait with increased eagerness the arrival of a new member of your family, take some time out to thank those special people who pampered you with their love and gifts on your baby shower by sending them one of our beautiful baby shower thank you card templates. 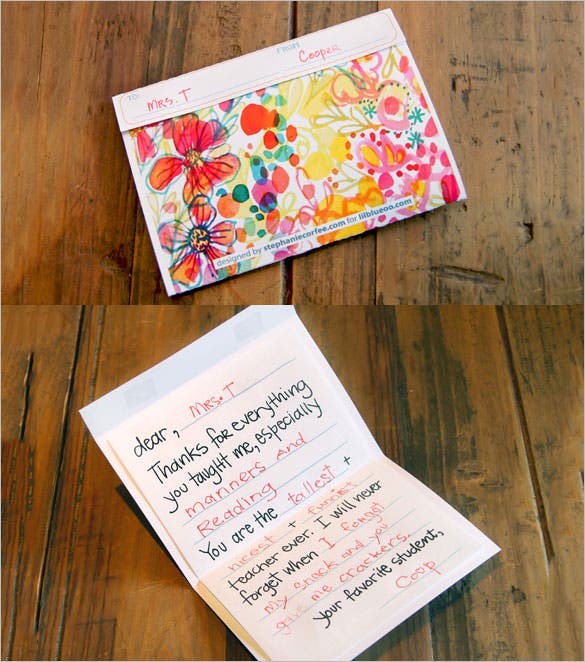 They are complete with beautiful images and touching messages. 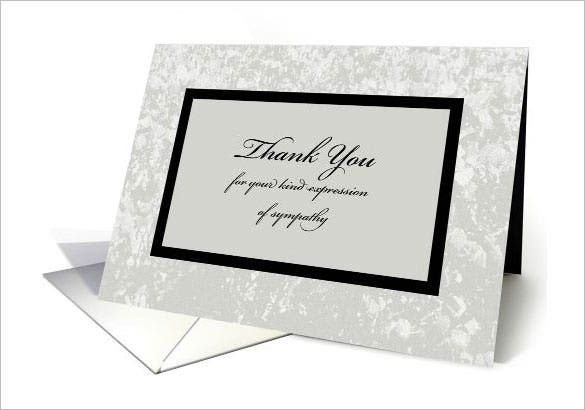 Exhibit your gratitude to the people who have helped you in any walk of your life by sending them one of our thank you card samples. 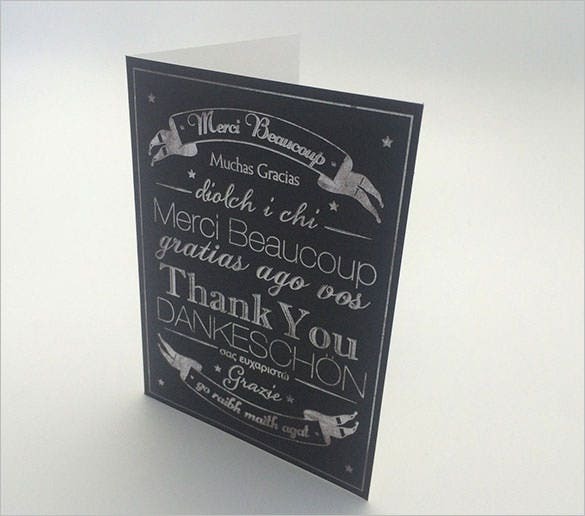 Our collection of thank you card samples is suitable for a wide range of situations, replete with images, funny pictures, jokes and much more. 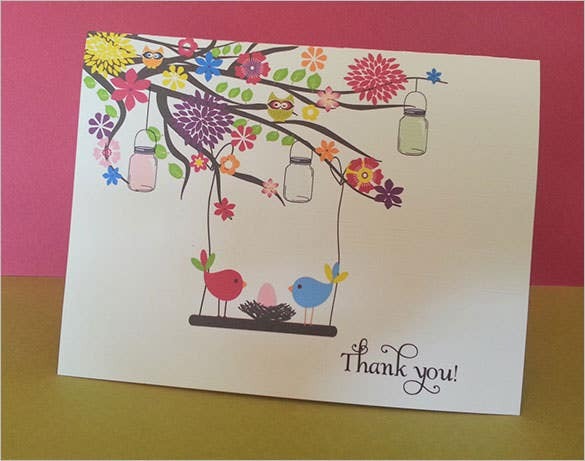 Send your loved ones and well wishers one of our thank you cards to express your gratitude to them for being there when you needed them. 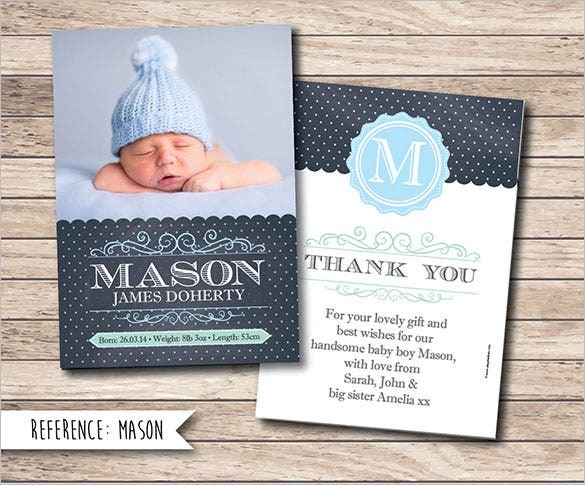 This collection is complete with thanking card examples suitable for all occasions and events adorned with beautiful images, witty text and vibrant backgrounds and surely contain something you can use. 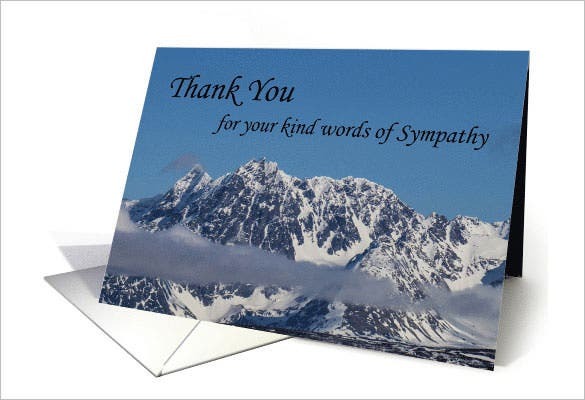 You should always remember to thank the people who were there for you in your time of grief. 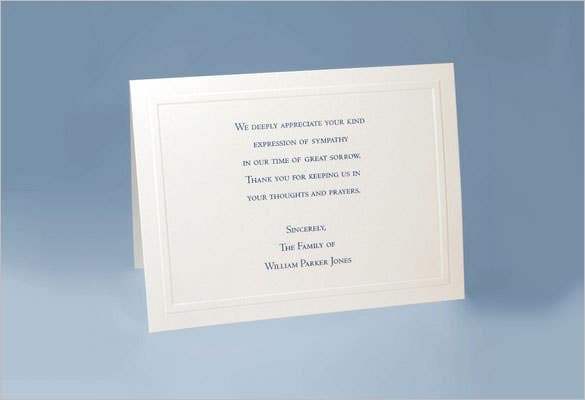 Send them any one from our collection of funeral thank you cards. 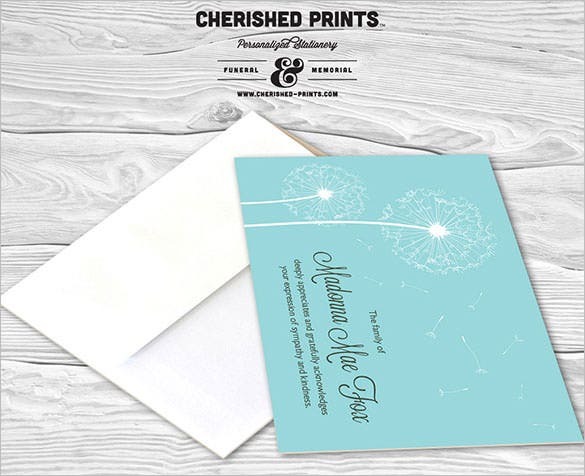 The collection is varied, subtle and somber and has enough space for you to inscribe personalized messages for different recipients. 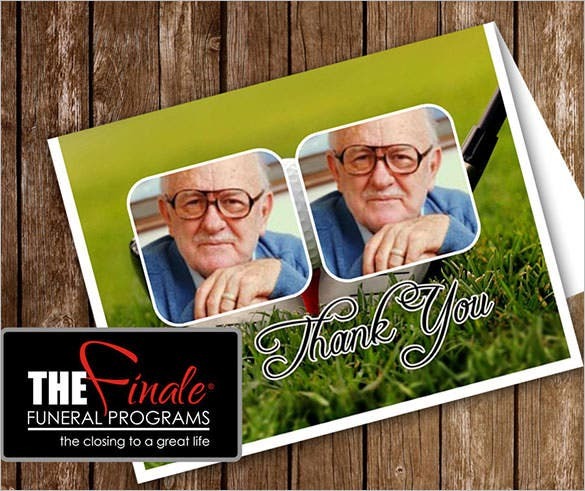 Convey your feelings of gratitude to those who stood by you and your family during your time of mourning by sending them a card from our fine collection of sympathy thank you cards. 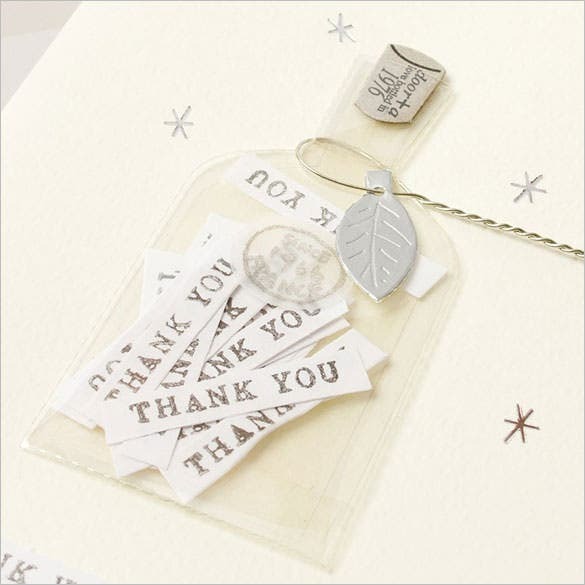 The collection comes in all kinds of minimalist designs and complete with articulate and sincere words of gratitude. 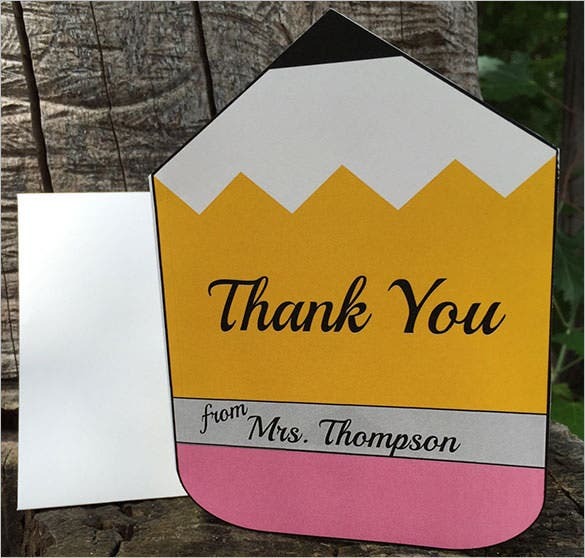 It is a great idea to remember the teachers who helped shape your life and career and what better way to do it than send them a personalized thank you card from our diverse collection. 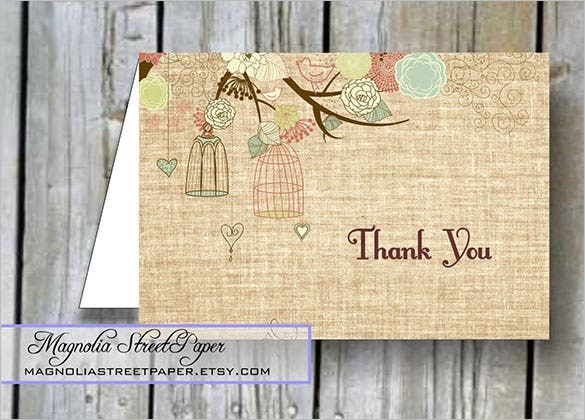 These free thanking cards are beautifully designed with carefully chosen words to express your heartfelt gratitude and love. Who doesn’t like a bit of humor? 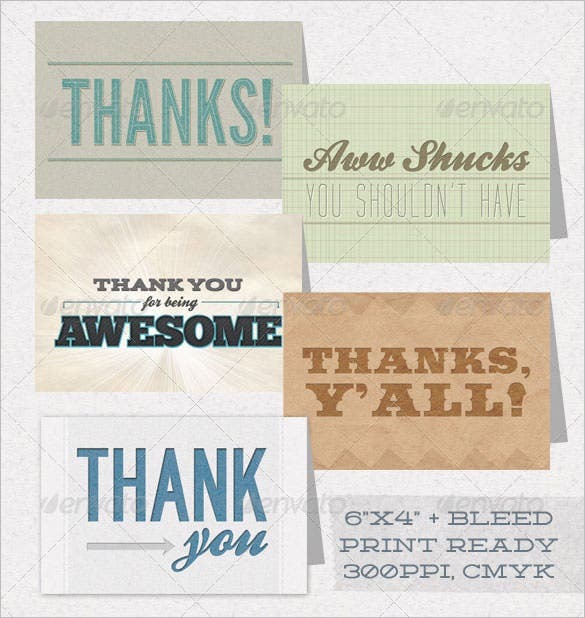 Express your gratitude in a way consistent with the witty, whimsical and lovable side of you by sending your friends and family any one from our fine collection of funny thank you cards. 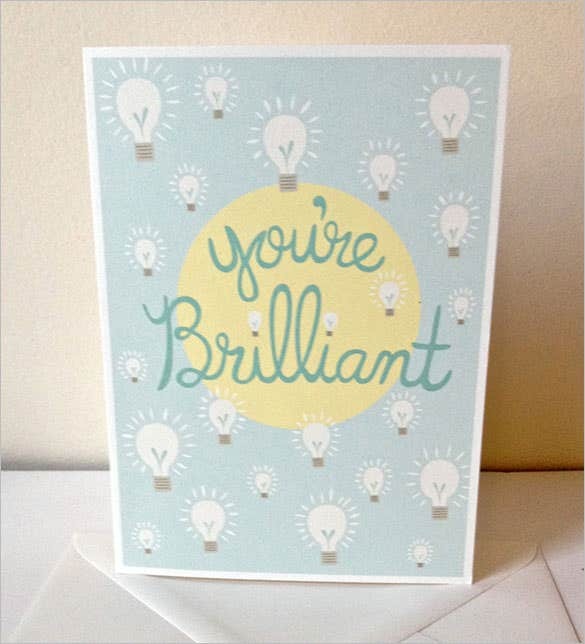 There are plenty of spaces to add your own personal quips as well. 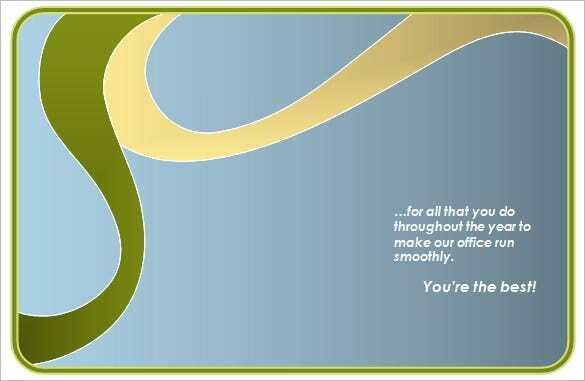 Your work requires you constantly build new ties and strengthen old ones. 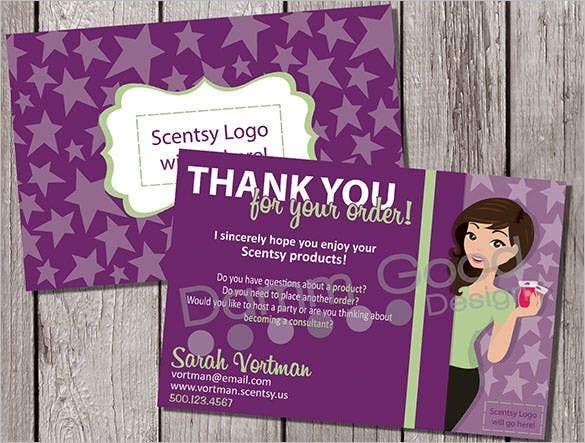 Use our collection of amazing Business thank you cards. 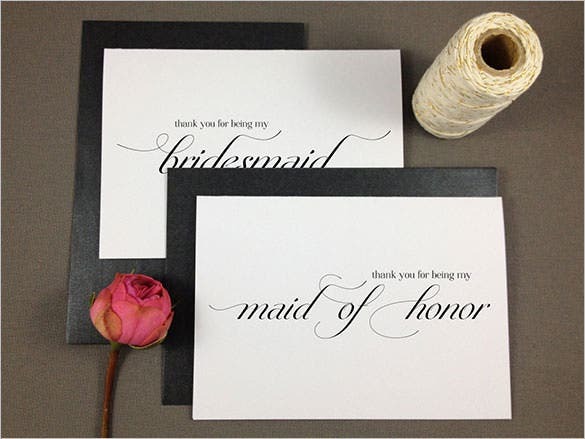 They are formal and sincere and at the same time appeal to the general aesthetics by being beautifully crafted and come handy in wide range of different situations and contexts. 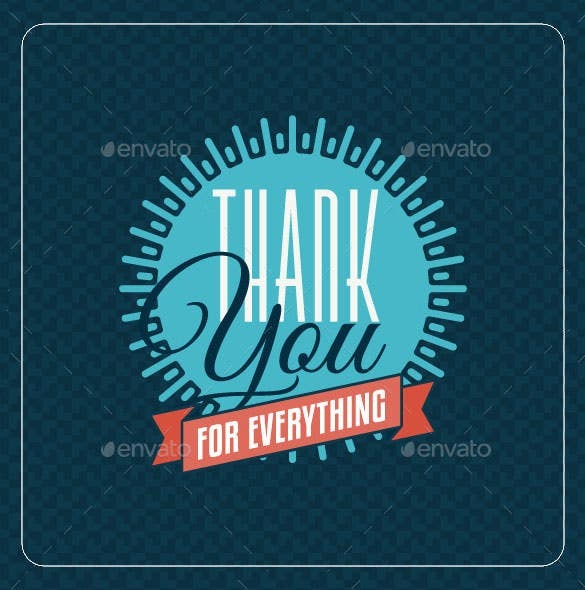 If you have just tasted the essence of being a graduate after all these years of hard work then give ‘thanksgiving’ a place in your to-do list. 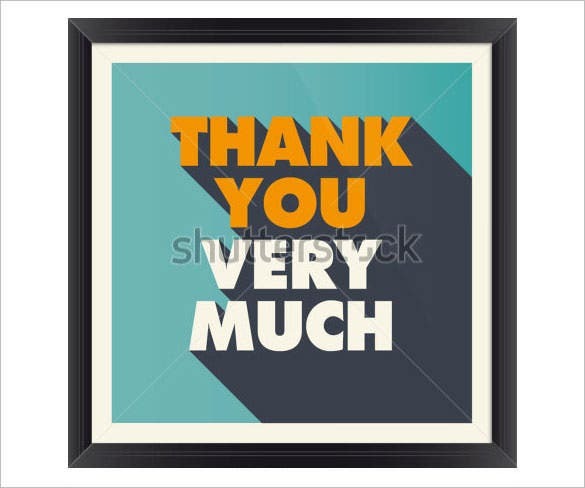 It’s time for you to thank those who have been there with you and have streamed you with gifts and wishes. 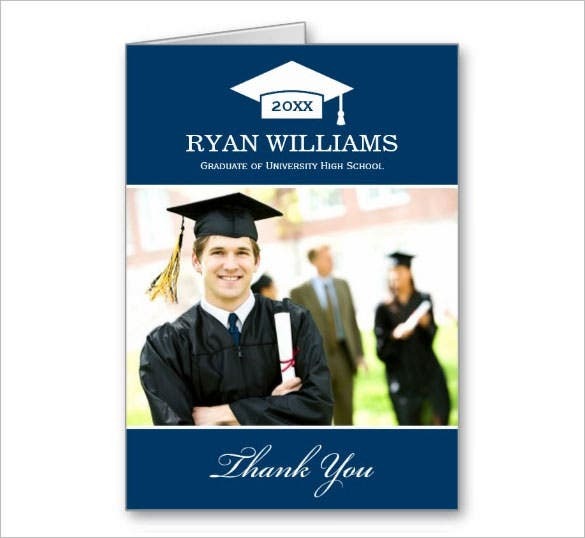 Grab the best from these graduation thank you cards and you are ready to go. 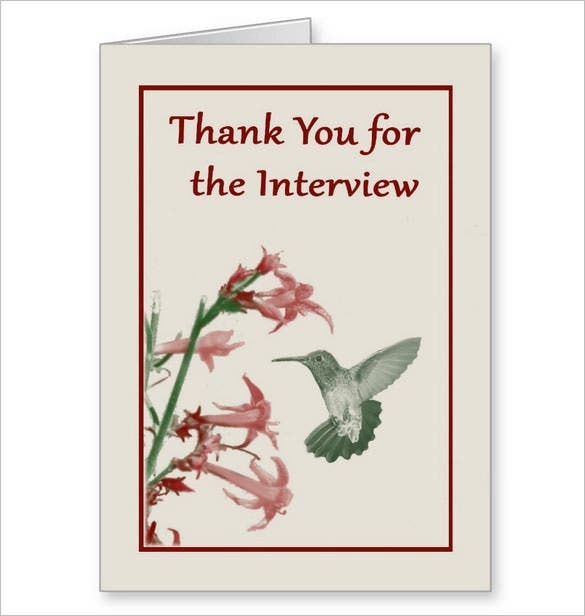 After an interview a thank you card is expected from the one interviewed as someone did give you time and effort to present yourself. 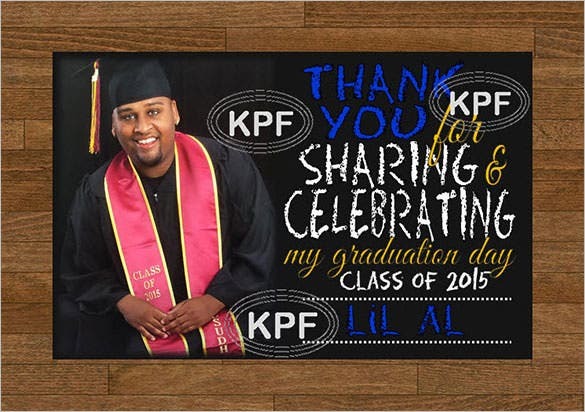 Not everyone puts an effort to give one the platform to showcase them. 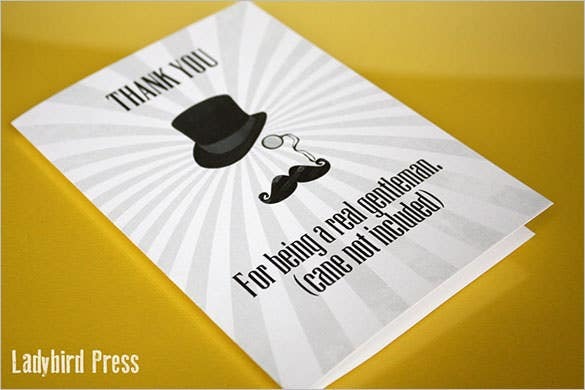 Select from a wide range of cards meant for professional motive and be courteous! 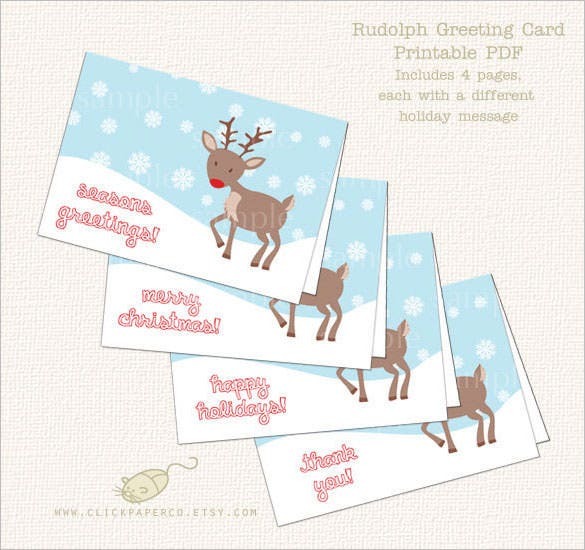 It’s a merry Christmas and it is your fidelity to make the ones around you feel merry. 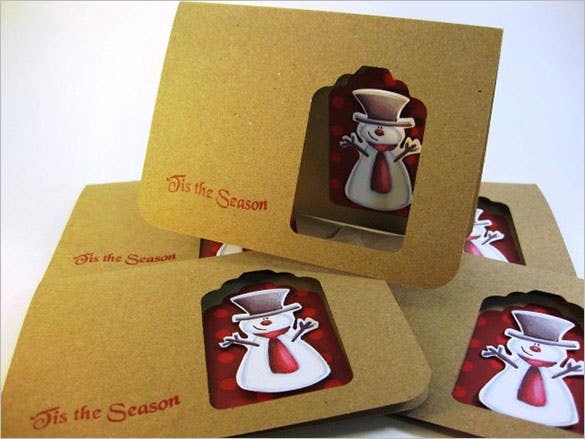 If Santa Claus is to give away gifts to everyone then what is stopping you from being a Santa for your peers and mates? 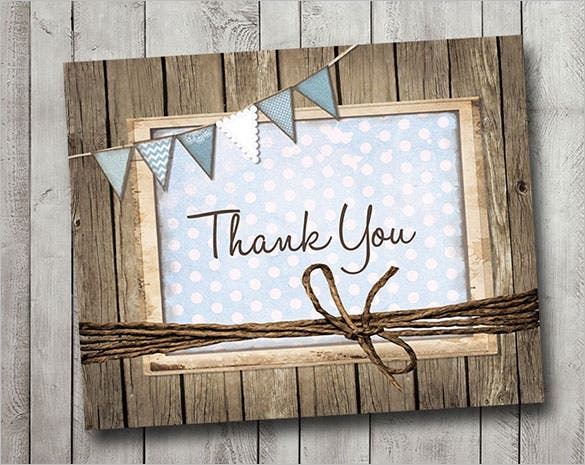 Thank them for joining and celebrating merriment with you. 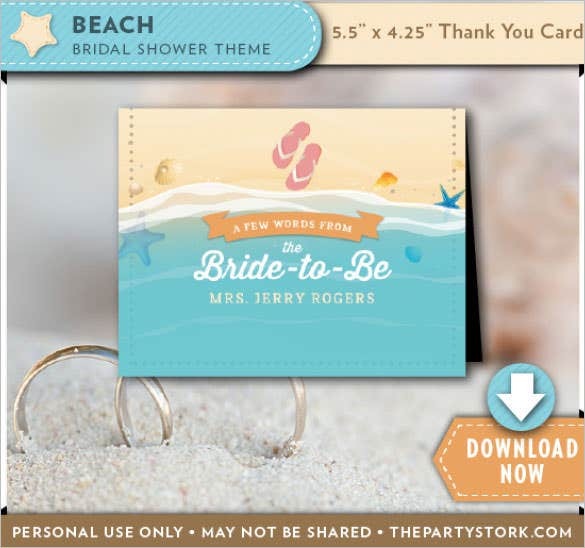 If your little member has entered a new journey after being baptized then those who came to evidence this sacred ceremony must be rewarded modestly. 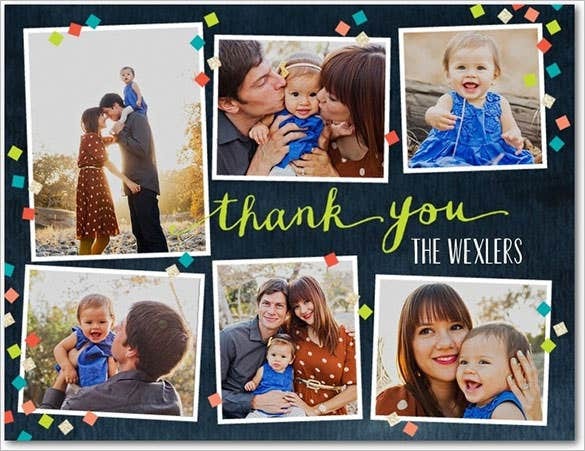 Solicit for blessings from those who came and endowed your child with their mere presence and gifts. 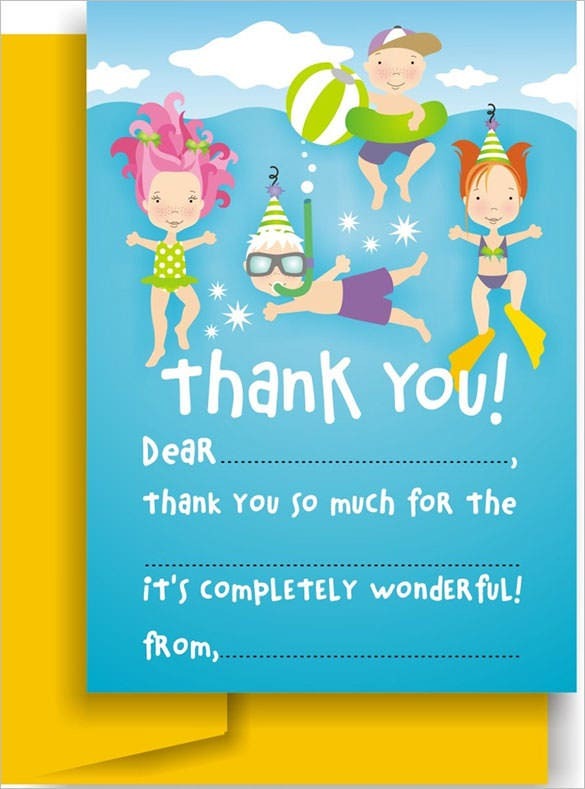 Print these free baptism thank you cards with great ease. 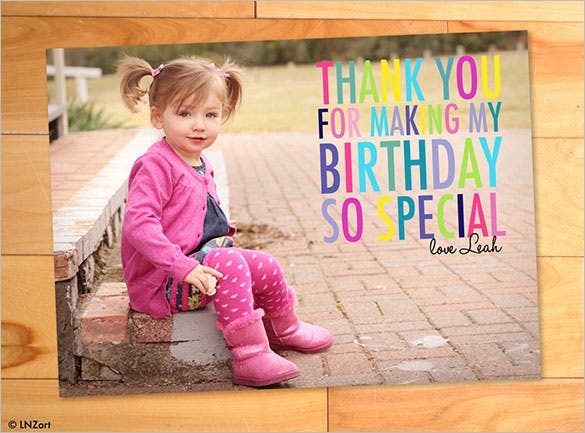 Who doesn’t want to thank those who cared to remember and make your birthday special? 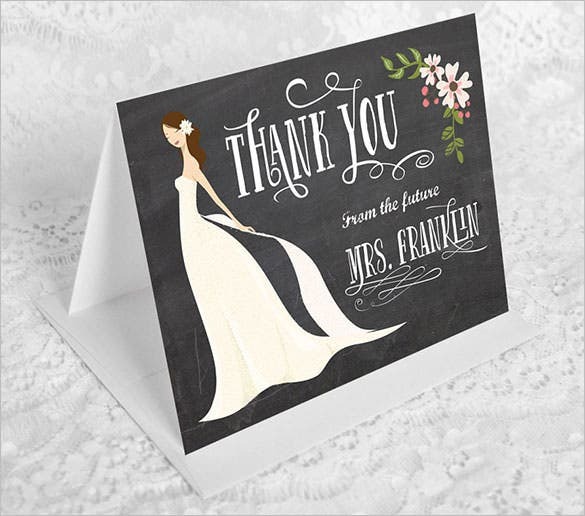 You sure want to reward those thoughtful souls with love and affection through these thank you cards specially meant for your special day! 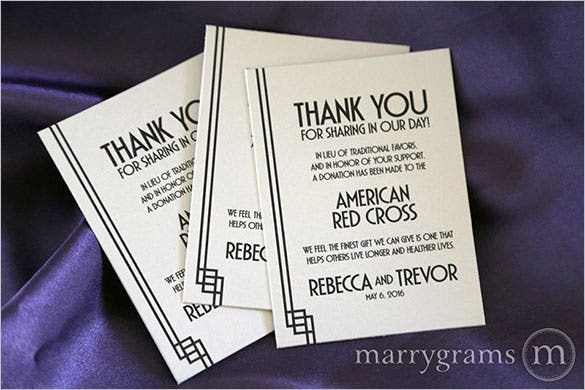 Customize them and feel free to show gratitude to your loved ones. 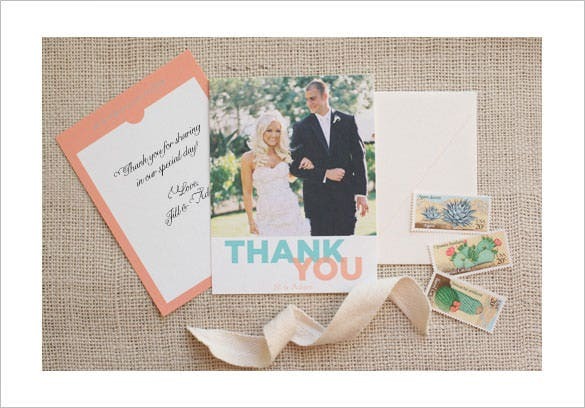 Photography thank you cards are personalized thank you cards meant for formal relations. 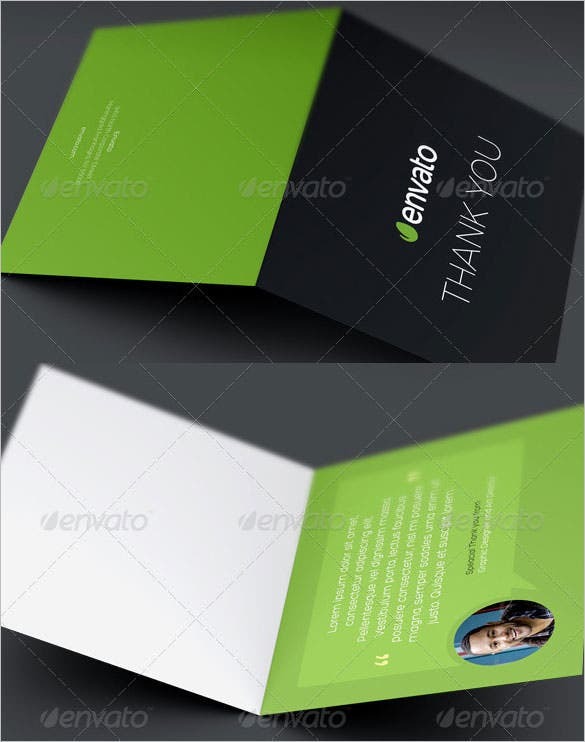 These have been created so that you can convey warm regards to the people for their favor in an elegant and un-conventional fashion. 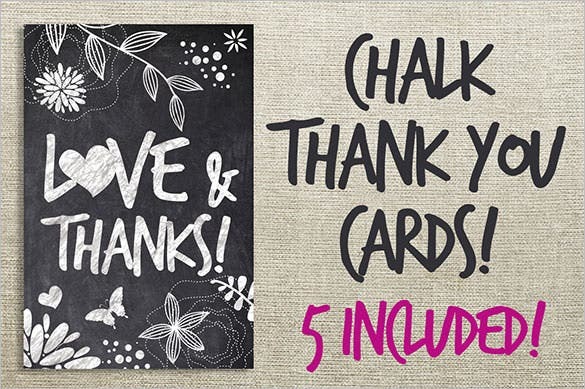 Take a peek from a series of choice offered to you and start thanking! In a world of complications and disturbance there are some angels who are born to serve for humanity. 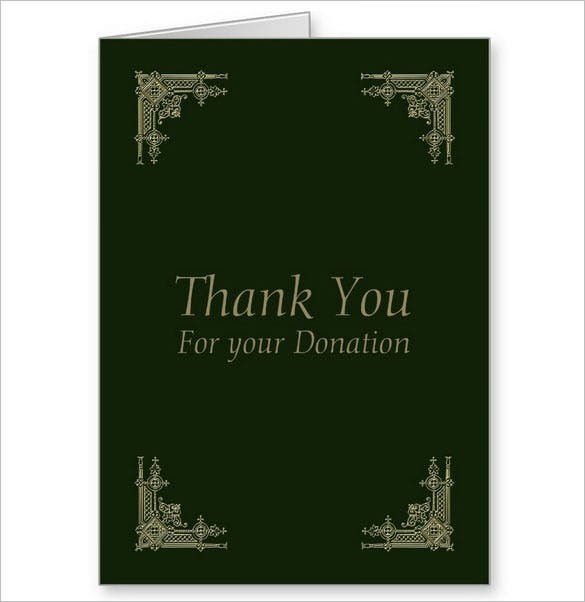 So those heartfelt people must be thanked for donating to the lives of sufferer. 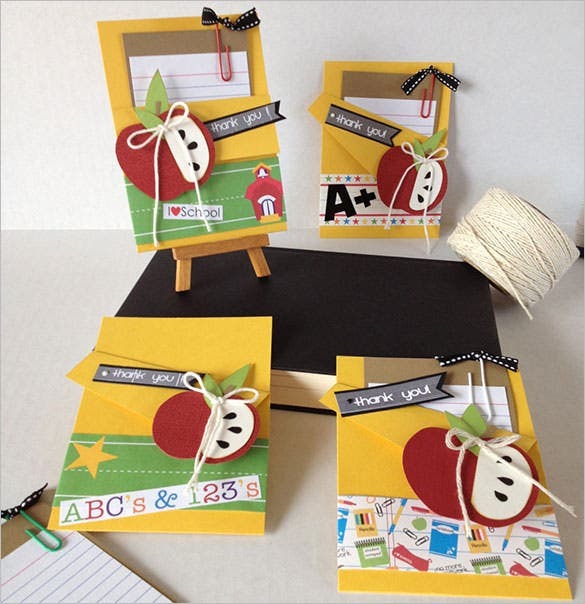 Take help from these free cards meant precisely for this purpose. 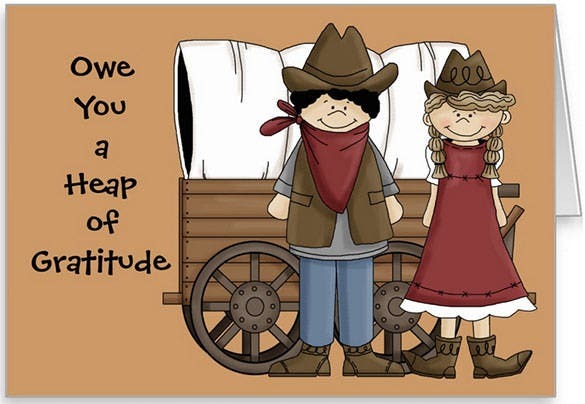 Don’t leave this opportunity and be grateful towards those great hearts. 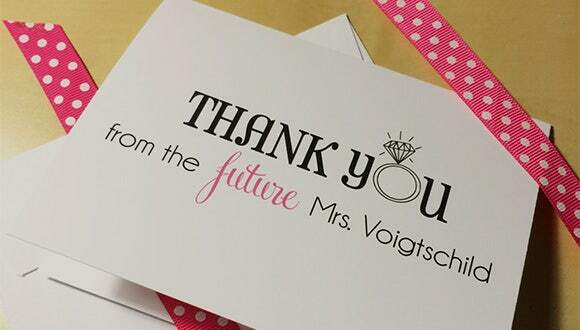 Be stylish yet poignant while thanking your special ones for their memorable contributions to your life. 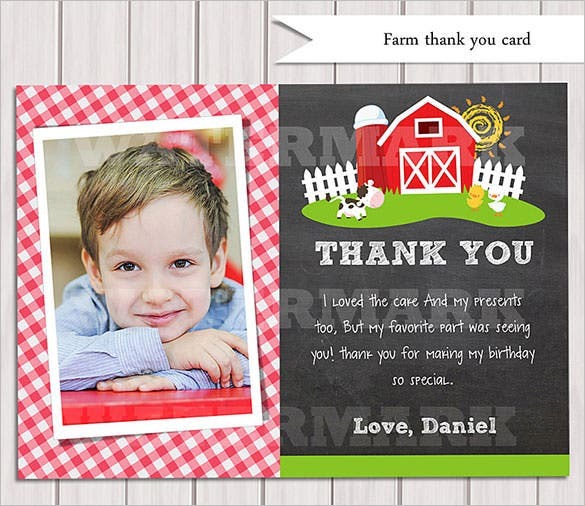 Make them feel adorable with these American greeting thank you cards for any purpose, both informal and non-professional. 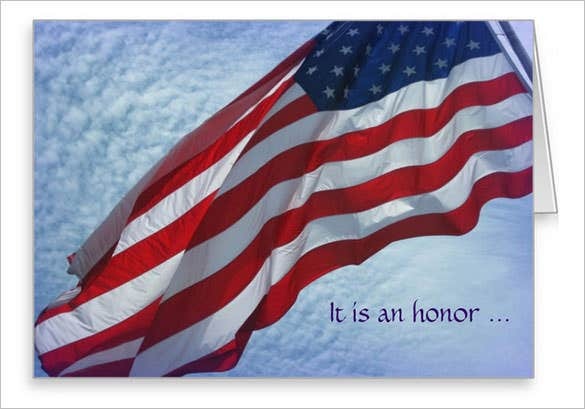 Procure good lucks and be good enough to thank people who means a lot and has always served you with countenance.